As I drive about town, I often stop to admire the beauty of the old buildings and reflect upon the various businesses that occupied them in times long past. I also remember and am saddened at the loss of buildings that once were a integral part of the heart and fabric of the community and now can only be seen in pictures at the museum. Small towns that have the resource of old buildings is their treasure to behold. It is the very essence of a community and brings flavor and character to the town that otherwise would not exist. Without the old buildings, it is just another town on a map. Every old building in a small town has a story. The buildings have a architectural history indigenous of the area and of the era. They also hold stories of businesses that have occupied their spaces throughout the years. Preserving a communities heritage should be of importance to everyone. In order for a town to thrive and move forward new structures will be built, but the old buildings and the many businesses which have occupied them through the years are the legacy, the history, and the foundations we leave to future generations upon which they can continue to build the community. Cedar Vale has a architectural legacy which begins even before you get to town. 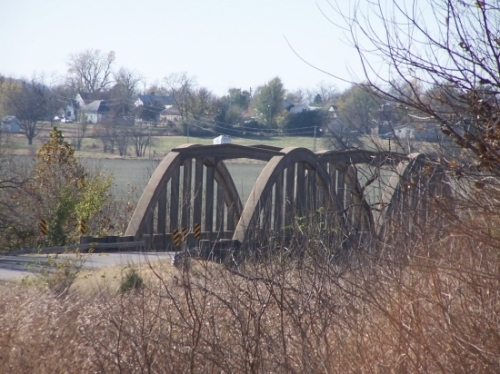 As you head to town from the east on the old highway, now Heritage Road, take time to view the double arched rainbow bridge and as well as the old iron bridge which is just a 1/4 mile north off old highway 160. As you drive about town, take time to look over the downtown buildings, the signage that is still visible from an era past. Even the back of the buildings were as important as the front entrances in the past. As you explore you may find a cornerstone on an old building, the remnants of gas stations and an old car dealership, or see the faded signs of businesses, or lodges of the past. Sidewalks and curbing are a part of the structure of a town and sometimes businesses had their name embossed on them. Several Victorian style homes show the opulence of another time, and there are a still a few hitching posts for horses at some residences. Drive through the cemetery, where you will see names of townspeople who you may have seen on some the old buildings or street names. The churches with their stained glass windows are another integral part of a town's history. As you drive about town, take note of the names of the streets. In a small town the names of the streets and additions to the town were often surnames. Other important structures to our small town are the water tower, the pavilion, bandstand, grain elevator, and although the railroad tracks are now gone, the bed where they once lay is still visible, from a time where the trains were a viable entity and part of the everyday life in Cedar Vale. All this and more is part of the town's history. While some may take it for granted, long after we are gone,part of the history of a town lies in the the architecture of times long past. Preserving our heritage is our legacy for the future of the town. 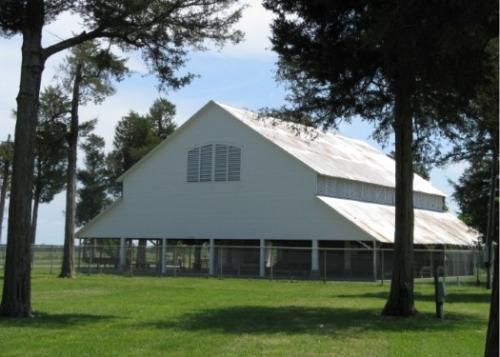 Cedar Vale has lost many historical buildings due to unfortunate circumstances. The old buildings and structures that are still standing in Cedar Vale are invaluable to the town's past and for it's future. Some are empty now, but they are what gives Cedar Vale a rustic picturesque style all it's own. To lose any one of them is losing the architecture of the past and a part of the heritage of the town.